ClickFunnels is an integrated system that offers many features to help people build webinars, landing pages, sales pages, set up billing pages, and more. As a sales page and landing page designer and editor, it has a long list of page templates and funnel templates. 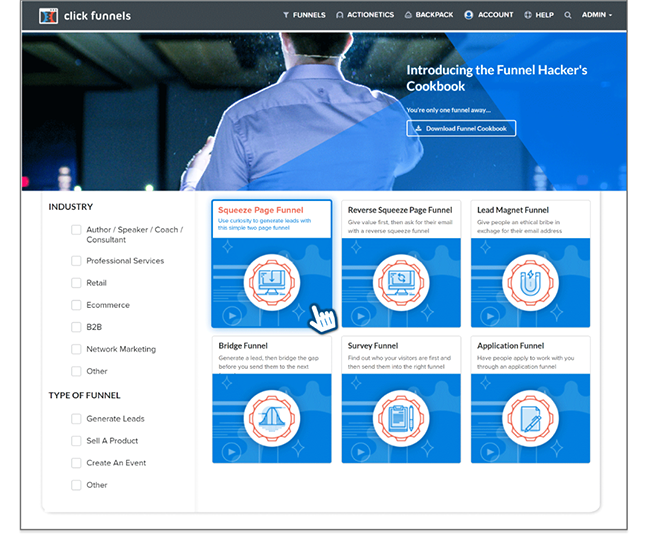 If people want to set up a landing page for a webinar registration, ClickFunnels offers several different pages to ensure success. The webinar template has a landing page, thank you page, live webinar page, webinar replay page, and a sales page. This is just one example of the thoroughness of ClickFunnels. ClickFunnels makes it easy for people to take a great idea, a new product they want to sell, or a dream business and turn it into a well-designed sales funnel that will convert your website visitors into customers. Instead of having to spend extensive periods of time, like days, weeks, or months, trying to design your own page or spending a lot of money hiring a website developer, ClickFunnels helps make the development process affordable and smooth to create and implement. ClickFunnels is a highly successful platform because it allows any person with a business startup idea to easily be able to build landing pages inside of a sales funnel that have a strong track record of achieving conversions. What makes ClickFunnels especially helpful is that it is designed to help all entrepreneurs, solopreneurs, or wantrapreneurs create their own pages without needing any programming or website design knowledge. 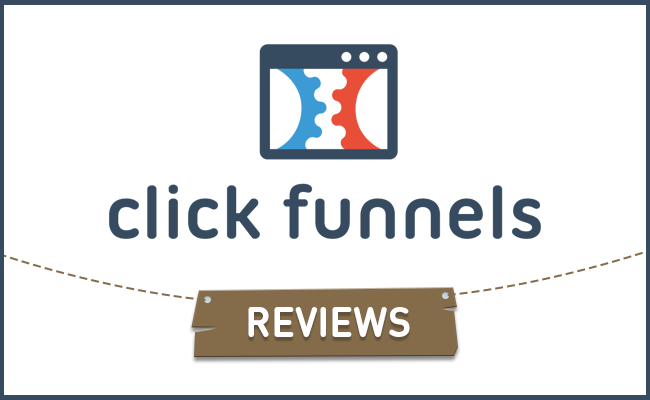 ClickFunnels has done all of the work beforehand and now people are able to point and click until their page is exactly what they wanted. 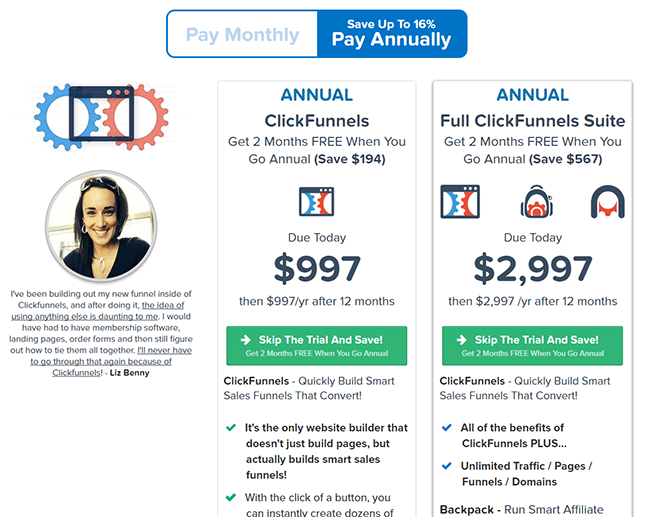 There are two different pricing options for ClickFunnels and both have a 14-day free trial available to help you determine if this platform is right for you. The ClickFunnels basic plan costs 97 dollars a month and is great for any business that is just getting started. With this plan, you can have up to 20 funnels, 100 pages, 20,000 visitors, and an unlimited number of contacts and members. The Etison Suite is the top-tier of services from ClickFunnels. It costs 297 a month and is great for businesses who need more than the basic plan can offer. With this plan, you can have unlimited funnels, unlimited pages, and unlimited visitors. While some people, especially those who are just starting their businesses, may feel like ClickFunnels costs a lot, for anyone who is serious about growing their business and taking advantage of all ClickFunnels has to offer, the cost is worth it. Some of the cons that have been listed for people are that ClickFunnels takes investment to truly learn, is a little more expensive than competitor platforms like LeadPages or Thrive, and that it requires a continuous subscription to use your funnels. Learn more to explore ClickFunnels alternatives. ClickFunnels is a leading platform that offers immense value to its members. From the easy to build funnels that are completely automated to the ability to perform conversion tracking and split-testing to help improve results, ClickFunnels offers so much to its users. One of the best features of ClickFunnels is that they offer a 14-day free trial for people to begin the process of learning about the platform and implementing it into their business. For a new business, the 14-day free trial is a great time to work through the free training to learn as much as possible about what ClickFunnels has to offer. If you want a solid company that has a lot to offer both new and seasoned entrepreneurs, ClickFunnels is a great choice.